Women’s fat loss workouts are not easy or for the faint of heart. They’re going to make you sweat! You have to be consistent with them and using women’s fat loss workouts will not necessarily have you shed pounds over night. It’s a slow, arduous process. 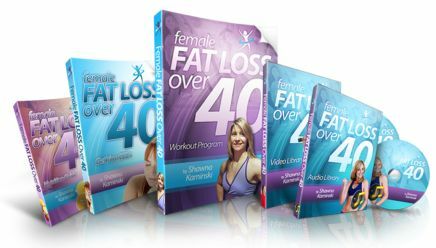 But there is a light at the end of the tunnel, here’s the good news about women’s fat loss workouts…. Once you know what you’re doing, they work! They can be what would seem impossibly short in duration. You can add a ton of variety to them so you never get bored. By adding so much variety, you fool your body to shed pounds as it never really adapts to the ‘same old, same old’ type program. 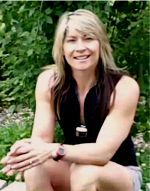 You can avoid over use injuries by adding so much variety to your women’s fat loss workouts as well. First off, you’re going to need resistance training. 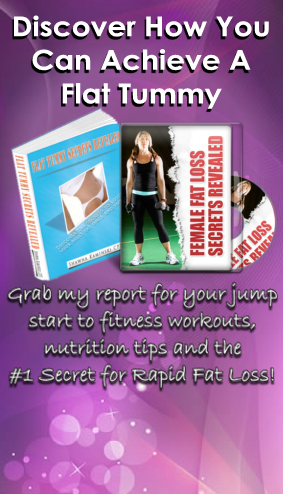 This is the biggest surprise of all to those women interested in fat loss. Increase your lean muscle tone and increase your metabolism. Fat is dead weight and doesn’t take many calories to maintain. Muscle, beautiful shapely muscle, on the other hand, takes more calories to maintain so that you’re actually burning more calories at rest when you add a bit of muscle to your frame. Resistance training doesn’t mean you need to ‘join a gym’. You’d be surprised at how much muscle you can build with body weight exercises. For example, how many push ups can you do? Many ladies interested in women’s fat loss workouts can barely squeak out one push up. Don’t tell me that body weight exercises aren’t challenging. Many people avoid them because, in fact, they are too challenging. Enter the ‘treadmill’. Many interested in a women’s fat loss workout will get on a treadmill and barely break a sweat. They take twice to four times as long to burn half the calories. Who has time for that? The second thing that you need to is to add HIIT, or ‘high intensity interval training’. This is the MOST effective way to do ‘cardio’. An example of HIIT may be as simple as doing a jog/sprint interval instead of going for a power walk or easy jog. You could do a minute of a jog followed by 30 seconds of a ‘sprint’ for 15-20 minutes. This would increase your metabolism for a period even after you’re done your workout so that you’re actually burning calories AFTER your workout. It’s unlikely that you would be able to burn the same amount of calories doing long slow boring cardio in even double the time. How much time do you really want to devote to this endeavor? Aside from eating up your time, long slow cardio tends to get painfully BORING. 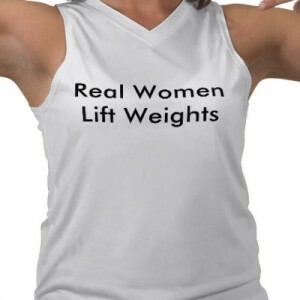 So, your best bet for women’s fat loss workouts then is to do resistance training and HIIT in combination. And, if you want to do this all at home, check out my program here and you’ll get the most effective women’s fat loss workouts out there. This entry was posted on July 31, 2011 at 8:35 pm. You can follow any responses to this entry through the RSS 2.0 feed. Both comments and pings are currently closed.